Small businesses regularly face many challenges. As the business owner, you are tasked with hiring the right people, increasing sales, making payroll, filing taxes and providing quality customer service. You know you need to market your business to become or remain visible to your target audience. But like most small businesses, there are more pressing priorities of operating a business that demand your attention. Your time will be spent on operational issues and you will struggle to find the time to do any marketing at all, until you realize that sales are dependent on creating visibility and generating demand for your product or services. Notice most of these challenges are tactical. The good news is tactical challenges can most often be solved with a little planning and focus. So, let’s talk about how you can conquer these marketing challenges and successfully market your business. Solving the majority of marketing challenges is accomplished by creating a simple marketing plan to guide your efforts based on your resource constraints and schedule your time. I’m not a big fan of writing lengthy and complicated marketing plans. But if you are serious about being in business and want to effectively market it to your ideal client, you need to take the time to plan. Without a plan, you have too many “opportunities” coming at you with no way to determine whether they make sense for your business. Or without a plan optimized for your business, you will copy what other businesses are doing which may or may not be the right thing for you. In either case, you will most likely waste time and money with little to show for it. A marketing plan will focus your efforts on attracting your target audience and help you determine if you are veering off track and what you need to do to reach your destination (or marketing goals). 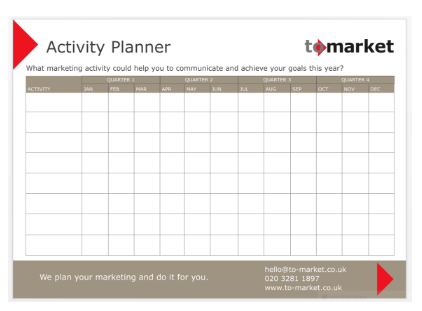 Download your free marketing planner here. Determine your marketing goals. Focus your goals on increasing your brand visibility and generating quality leads so your activities help you overcome those two challenges. Define your marketing strategies that will help achieve your goals. Strategies can include content marketing, social media, event marketing (both online and offline), networking, direct marketing, search engine marketing, email marketing, public relations and advertising. Outline what activities you will use within each strategy. There are many activities you can use. Figure out which ones make sense for your target audience and will work for you in terms of resources. Action plan – The action plan is a schedule of each step leading up to successful execution of an activity. For example, if you plan to do webinars, you will need a schedule for finalizing the presentation and promoting the event across various channels. Editorial calendar – Similar to the action plan, the editorial calendar will set the schedule for what content needs to be produced and by when to support the action plan deliverables. This helps you achieve consistency in your content marketing efforts. Setting schedules for tactical execution and content creation points out whether you may be trying to do too much at once. Setting deadlines helps keep you on track. Small businesses and solo professionals have resource constraints. We normally lack people, rarely have a huge budget and there are only 24 hours in a day. With the many marketing strategies available to you, trying to do it all is overwhelming. This is why having the marketing plan is so critical. The plan should take into account your resources and provide you with the most effective strategies that you can do with your limited resources. In addition, you may want to consider outsourcing some tasks where you know you won’t be able to consistently execute. Need a website refresh? Choose someone who can deliver a well designed responsive website that supports your marketing goals. Need help with social media? Maybe a virtual assistant may be the solution. Aren’t proficient writing your blog posts? Hiring a copywriter may be the answer. When outsourcing, be cautious. The Internet has leveled the playing field for small businesses to compete with large, but it has also lowered the barriers of entry for many disciplines, especially marketing. Many small businesses have listened to the advice given by self-proclaimed experts in social media, web design and online marketing and suffered the consequences of their bad advice. Just because someone knows how to use social media, doesn’t mean they know how to use social media for marketing. How do you know whether the person you plan to work with to market your business really knows what they are doing? Tip: Check out their online presence. Search for their name and business name and see what comes up. Unhappy customers will post negative reviews that can warn you before you get into a relationship that is hard to get out of. Review their website. Do they practice what they preach? Get references, meet or speak with them multiple times, and ask them a series of online marketing questions to see if they understand marketing at all. This is a much harder challenge for small business owners. The rate of change in marketing tools and technology is staggering. But with all the new tools and technology, marketing really hasn’t changed. You still need to understand your target audience and what problem they are trying to solve or need to fulfill. You still need to understand what makes you different and why your target audience would want to do business with you. You still need a compelling message to make your target audience take some action. You still need to develop strategies to reach your target audience with your message. What has changed are how you deliver that message to your audience. Traditional marketing reaches your audience via channels such as newspapers, television, billboards and direct mail. New media marketing uses the tools of the Internet to deliver your message. Twitter and Facebook are now old in digital marketing years. Meerkat and Periscope are at the forefront of the live-streaming video trend. Yes, the tools and technology keep changing, but marketing strategy does not. So trends are important – you want to be aware of new ways to reach your target audience and what will appeal to them – but you don’t need to dwell on it regularly. Just because the new technology is interesting, it may not be relevant to your business. Tip: Consult with experts in marketing or read their blogs to get the latest updates that may affect how you reach your ideal client. When you find someone you trust, speak with they regularly to get updates on what’s new. Does your company face these marketing challenges? Create your marketing plan and focus on achieving your goals so your marketing will be more effective. 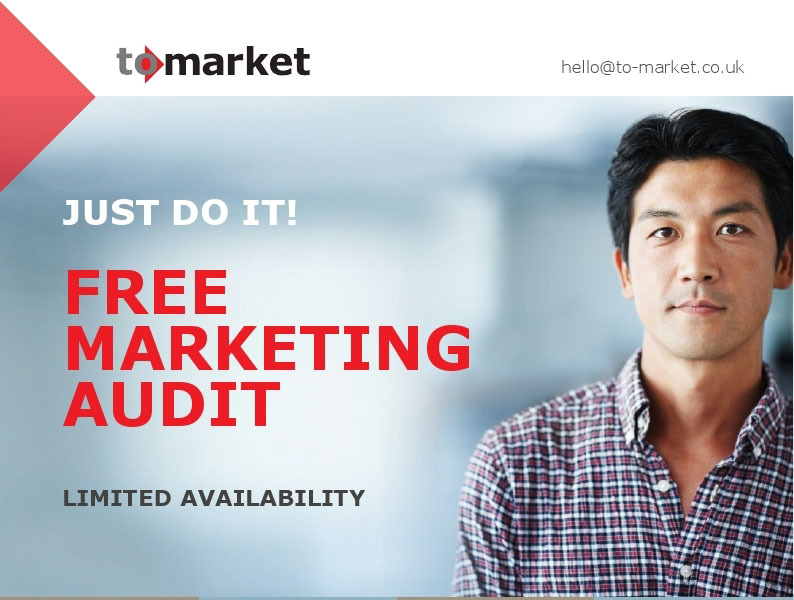 Book your free marketing audit here.